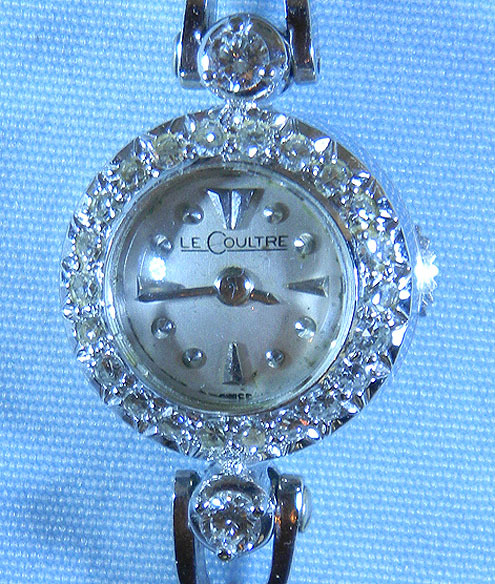 Fine Swiss LeCoultre 14K white gold and diamond ladies backwind vintage bracelet watch circa 1950. Silver dial with applied silver markers and silver hands. 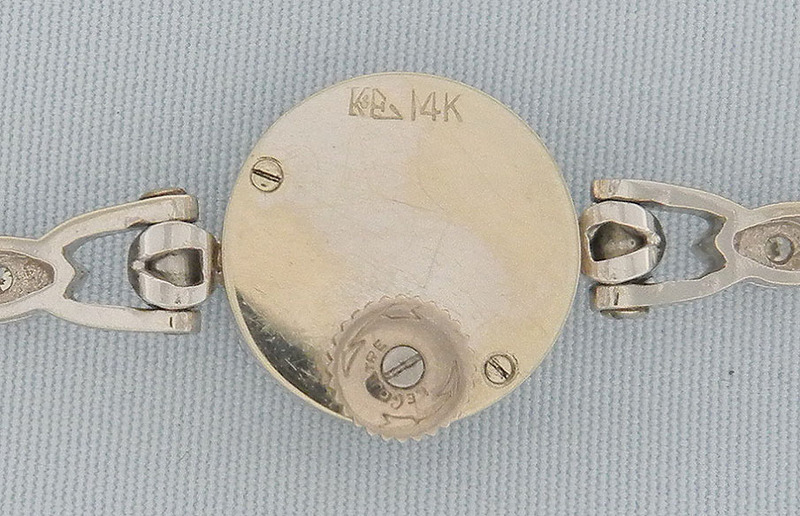 17 jewel movement. Overall length 6.5 inches.